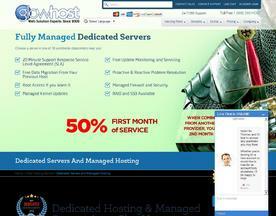 What is Online Business Dedicated Servers? Business Dedicated Servers offer the user full control over how and where their websites are hosted, they are built to respond to your business requirements. Dedicated Servers are often located in Data Centers and offer more freedom over other common forms of hosting solutions such as Shared Hosting. With most dedicated servers you can customise the specs of your dedicated server to optimise its performance, capacity or reliability to suit the exact requirements of your business. Whether it's a single dedicated machine or a fully managed cluster built for failover and load balancing, the GlowHost team does it all. If you need a platform custom built just for your business, contact GlowHost. We're here for you 24/7/365. 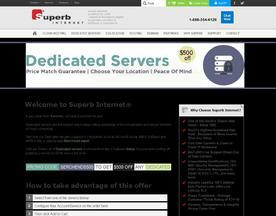 Superb Internet has provided unparalleled Dedicated Hosting with unmatched 24x7x365 technical support directly from our data centers for more than 22 years (since 1996). We don’t just promise, we deliver 100% uptime, and over 9.7/10 average customer rating. Go with the best and save 20% for life!